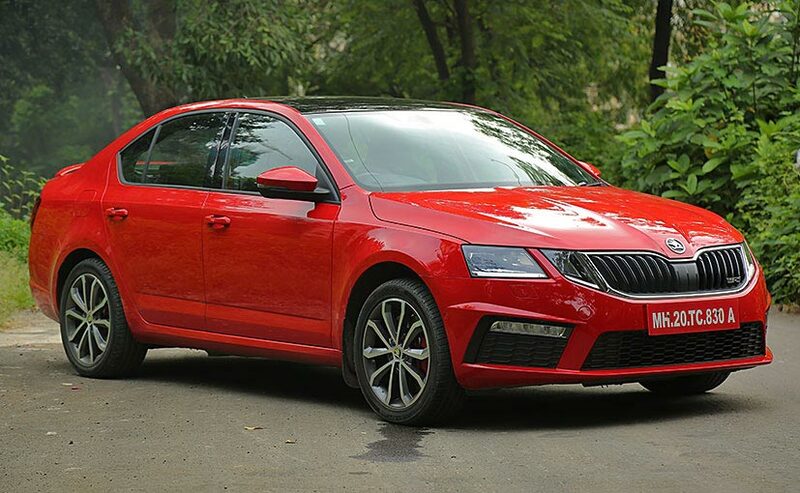 The Octavia has been a car which we've all loved over the years and its gotten better ever since it first came to India and we're glad that Skoda is thinking about its customers which is why it's brought in the RS version on the facelift it launched recently. The late 90's and the early 2000's was when Skoda ruled the roast as far as the sedan segment in the country was concerned. The Octavia was one of the most loved cars during that time and I cannot deny that I had put all my hard earned money in buying a 1.9 TDI only to bid it a tearful goodbye about a year later. 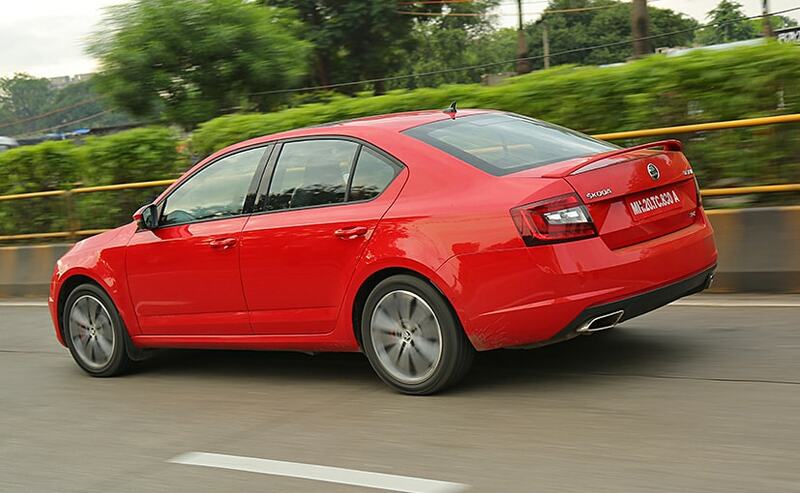 The Octavia has been a car which we've all loved over the years and its gotten better ever since it first came to India and we're glad that Skoda is thinking about its customers which is why it's brought in the RS version on the facelift it launched recently. We know that this RS badge is not new to India, but still the car is new, because this is the first time India gets a proper Euro-spec RS version of the Octavia. The first RS we got had a detuned engine and the second one used the same engine as the standard car, but this one gets a 2.0-litre petrol engine which is the same as the Euro-Spec car. The only difference is that the suspension is slightly raised on the Indian version, taking bad roads into account, though it's still 15mm lower than the standard Octavia sold in India. 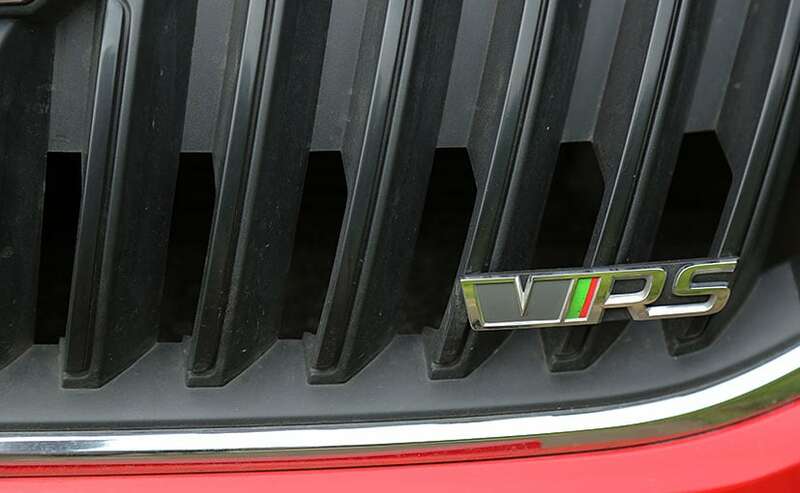 The Octavia RS gets the same face as the facelifted car that was launched recently, however, that 'RS' badge comes with certain additions. It gets an aggressive body kit which includes a rear spoiler, twin exhausts, and a new 'Anthracite Hawk' alloy wheel design which are 17 inchers. We wished they were large 18 inches though, just to bring out its wild side. There are changes to the cabin too as it's all black now and this does justice to its sporty credentials. 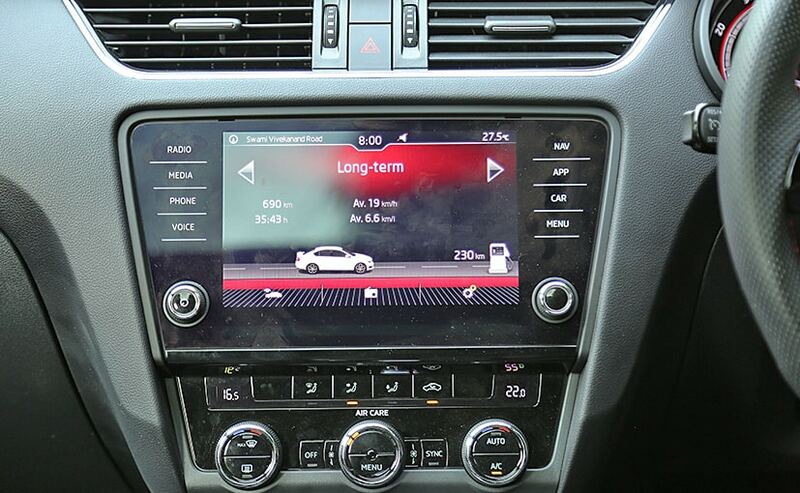 The equipment list is the same as in the top-spec Octavia TSI. 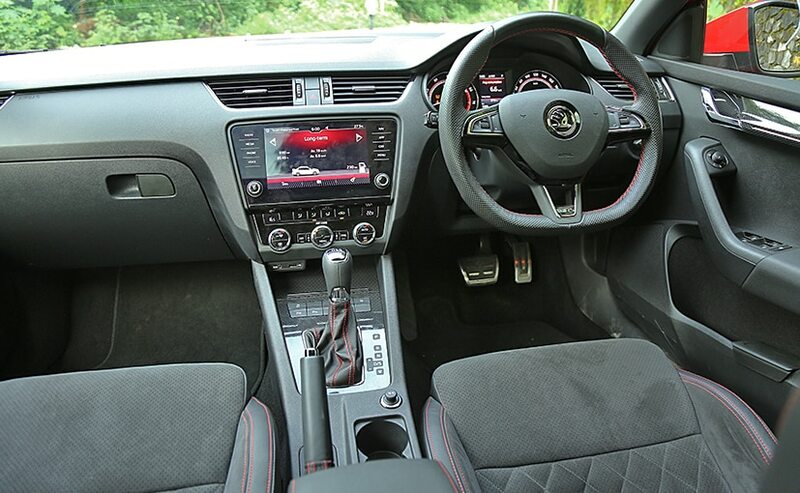 What's new is the flat-bottom vRS badged steering wheel and the Alcantara leather-wrapped sport seats with the vRS badging and the red contrast stitching. The sport seats are super comfortable and really hold you in place when you're fiddling around at the wheel. There's good leg room at the rear too but you'd rather spend your time behind the wheel, right? 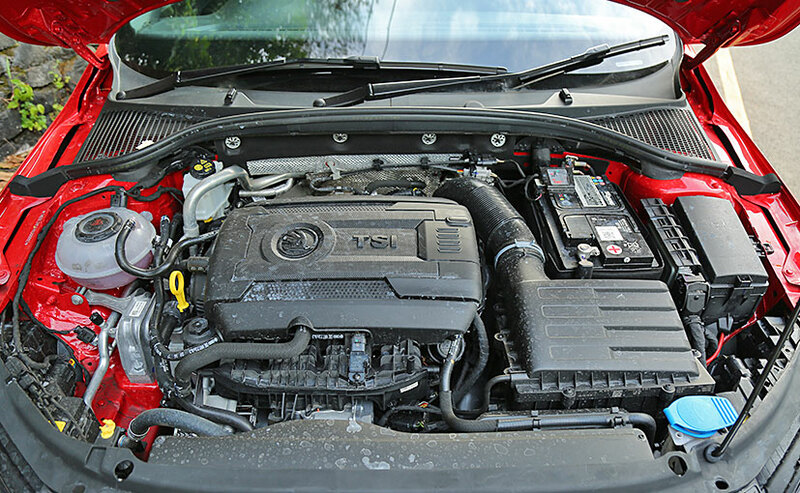 Considering what the 2.0-litre petrol motor has to offer. Usually, if you needed to buy a car that churned out 200 horses, well, you'd have to look at a luxury carmaker for it. Not anymore. This one gets the 2.0-litre turbo petrol engine which churns out 230 horses. There's 350 Nm shoved through only the front wheels and 0-100kmph comes up in just 6.8 seconds. That's quick! 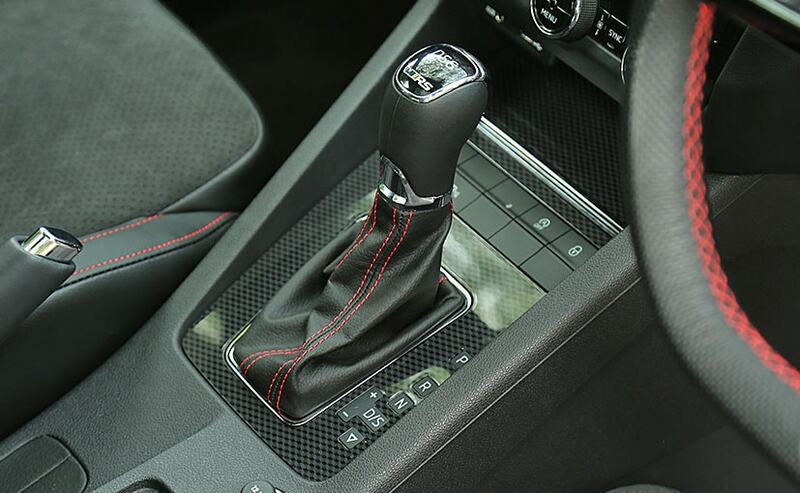 The gear box is quick to react to your every input and this is when you wonder if you really are missing a manual transmission. Frankly, no! The DSG is lovely and it's adapts well to the way you drive ensuring that you always have power at will. Sadly, though the ride is stiffer which is why you tend to feel all the bumps on the road and that's probably an issue of discomfort. But there's another issue, its Achilles heel so to say - it's steering. 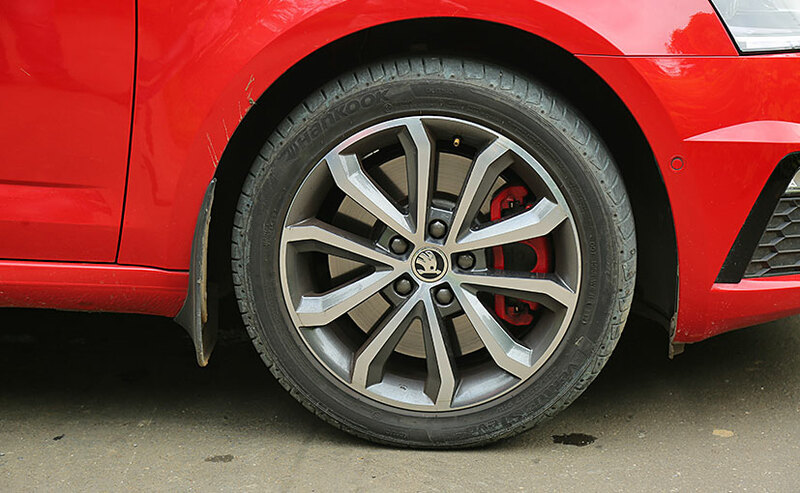 While the electrically assisted unit is quick and responsive there is a certain crispness and precision you'd expect from a car which boasts of sporty credentials, so a bit of feel for that involved driving experience. But, the steering feels like the one from a standard Octavia and that's a bit disappointing. But then again you look at the price and you see how Skoda has managed to place it brilliantly. The Octavia RS is priced at ₹ 24.62 lakh and that's a steal really for a car that's agile, quick and brilliant fun. It's just ₹ 6 lakh more expensive than the standard 1.8-litre petrol Octavia and so if you're thinking of buying one well, frankly chuck the standard one and buy the RS!